Students at SPES must only use approved websites while using BCPS technology. Therefore, students may use the following Approved Websites while at school. Please use these resources at home as well. The Sandy Plains library mission is to develop effective, ethical users and creators of information in a safe, collaborative, and global environment, while encouraging inquiry and fostering personal growth. practice math, and so much more!! Educational computer apps and games for students. such as letters, numbers, skills and strategy. Watch quality educational shows, complete activities, play games, and more!! self-paced activities for students in Grades 3 through 8. Digital Citizenship through videos, activities, games and more! that helps children learn to read. Play for free on the website or download the app. and information about Dr. Seuss. Enjoy online books, activities, games and videos on FunBrain!! and interactive activities from Fuel the Brain! 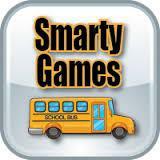 Free games for learning how to use money, tell time, count and read. Also, you’ll find mazes, memory games, puzzles, Sudoku and more! The International Children's Digital Library Foundation (ICDL) is a free online library of digitized children's books in 59 languages from various countries. The site is run through the University of Maryland. This is great place to go for a daily for thinking about fun and interesting questions like “Why is the grass wet in the morning?”, “Where is the tallest lighthouse?”, “How much does the sky weigh?”, and more! TheColor.com is home to hundreds of free online coloring pages that don’t even have to be printed. Everything is interactive and done online! This is a great activity for students who finish early. Code.org is a non-profit organization that aims to encourage students to learn computer science. The website includes free coding lessons and targets schools in an attempt to encourage them to include more computer science classes in the curriculum.